Candy canes are a regular fixture in every Christmas motif. Traditionally they are hung on the wall or the tree and are eaten by the kids during Christmas morning as a Yuletide treat. 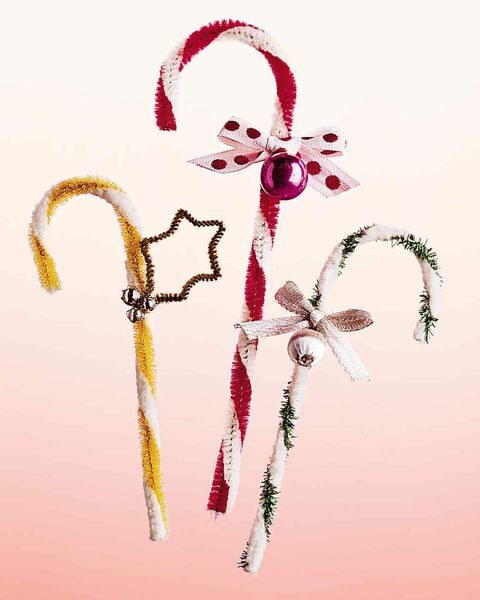 But if you think you’re too old for the actual candy, then you may opt for pipe cleaner candy canes instead. Pipe cleaner candy canes are a great substitute to the actual candy. They are not sticky, nor are they ant magnets. When the season is over, these candy canes can be stored in boxes or be used for cleaning pipes. When making or buying pipe cleaner candy canes, it is best to go for those that come in green and red twists. White ones are okay, but they easily get dusty within a short period of time.